Jack Merritt, 69, of West Grove, Pennsylvania is crowned Mr. Mature America 2019. They recited poetry, shot some hoops, sang a few tunes and oh, yes, how they strutted – even while holding hams. 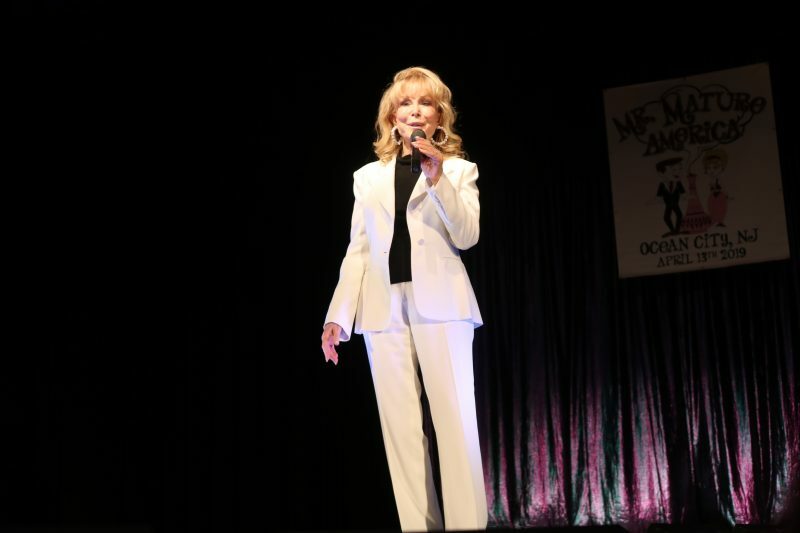 Barbara Eden, best known for “I Dream of Jeannie,” which launched in 1965, was the emcee for the zany show. 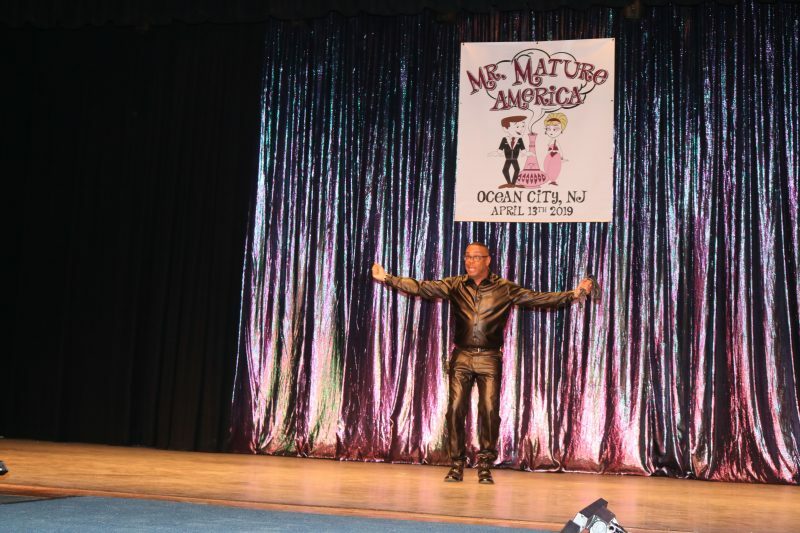 Although just five 55-and-up gentlemen graced the stage at the Ocean City Music Pier Saturday night to deliver their best in poise, talent and interviewing skills, judges had a tough decision on who should hold the coveted title of Mr. Mature America 2019. Merritt won the interview question. Merritt rescues animals in a program called PilotsNPaws. To date, he said during his interview, the organization has rescued 100,000 animals. He and his wife, Julia, who have six children, own an animal rescue farm in Chester County, Pennsylvania. “I didn’t think I was going to win,” Merritt said back stage after the show. He added that he is excited about his reign and what he will do in the next year in Ocean City as an ambassador. 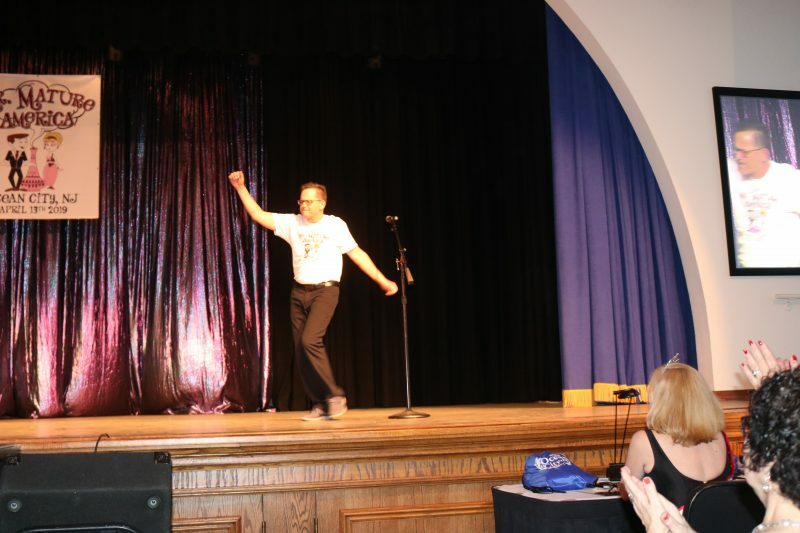 John Walton, 62, of Ocean City, wowed the judges while winning the talent competition with his impromptu style skit. As in 2018, he was first runner-up. The other contestants were William Dowling, 67, of Ventnor, who read poetry, Robert Shearn III, of Voorhees, who danced, and Tom Troncone, 66, of Pennsauken, who showed his basketball skills. Troncone was named Mr. Congeniality. The contestants also performed their final number holding hams. As the curtains opened, the audience erupted in applause and laughter as the men, with reigning Mr. Mature America 2018 Bill Quain leading the way, danced to “Genie in a Bottle,” by Christina Aguilera. “I’ll tell you how much I love Jeannie. I married a Jeannie 35 years ago,” Quain said, noting that his wife, Jeannie, was in the audience. Quain, who is blind and had help from an assistant on stage, performed two songs with laughter, frivolity and sheer talent. 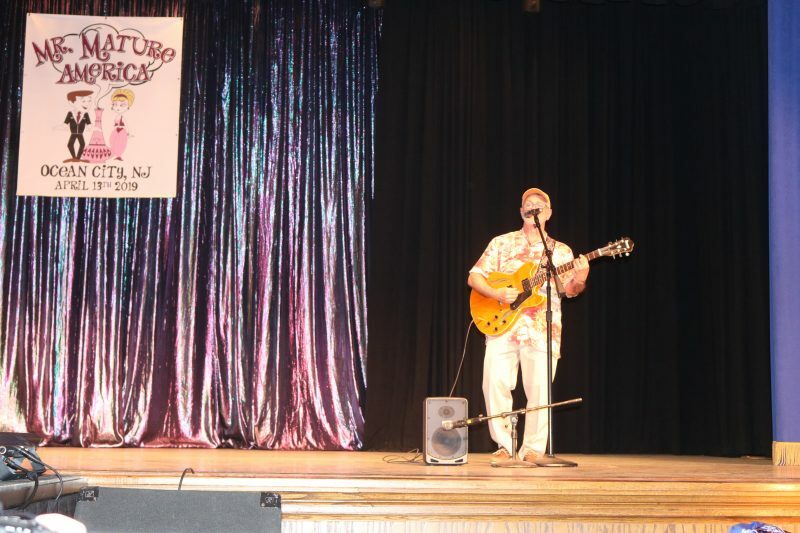 Quain, who plays the ukulele, sings and is a professor at Stockton University, as well as a published author. “Don’t let limitations hold you back. I won’t let the fact that I have not one ounce of talent,” he said with laughter. Quain sang wearing a cowboy hat, fitted jeans, and some high-stepping western boots, known to some as cockroach killers. 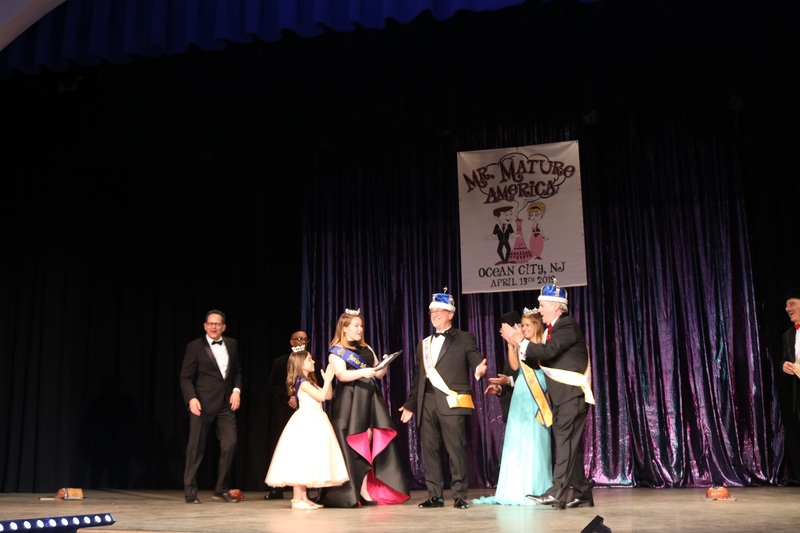 But it was his swan song, as he called it, to “The Way To Cape May,” accompanied by Miss Ocean City Megan Keenan, Junior Miss Ocean City Julia Wilson and Little Miss Ocean City Stevie Wright, that really was an audience favorite. The trio held up signs for the names of the towns in the song. 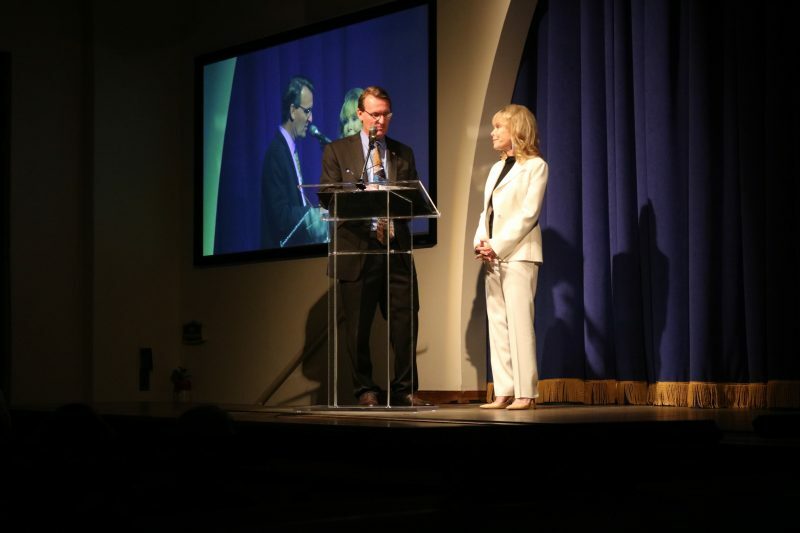 Barbara Eden emceed the event. Throughout the night there were question-and-answer sessions with Eden. One audience member asked if it was true that Genies don’t have belly buttons. Replying with laughter, Eden said that if she told she would be revealing her secret. 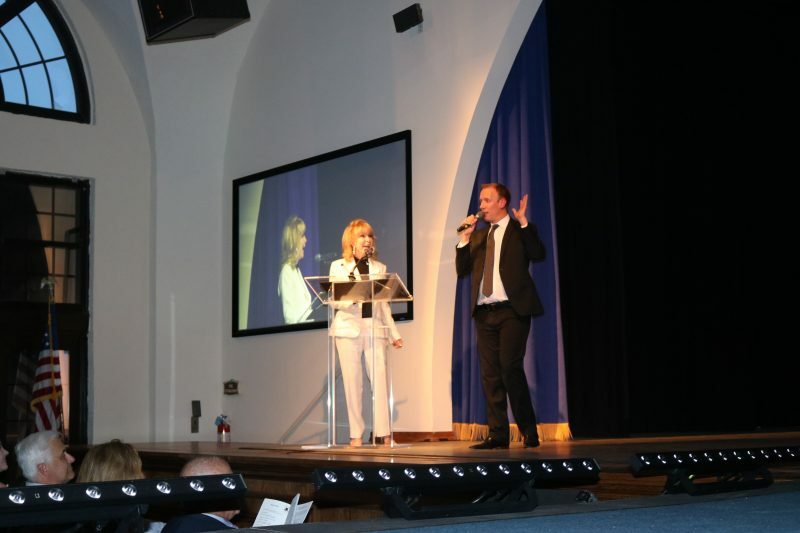 The audience erupted in laughter. When asked who her favorite actor was, she said Peter Lorrie. They worked on two films together and would eat lunch together. In addition to the pageant, Mayor Jay Gillian presented pieces of the Boardwalk to Ocean City resident Paul Anselm, to show him appreciation for all of his endeavors on behalf of the city. Anselm is involved with the Ocean City library, historical museum and the Community Center. Eden was also presented with a piece of the Boardwalk. Gillian noted that they were very happy to have her as a guest in the city.